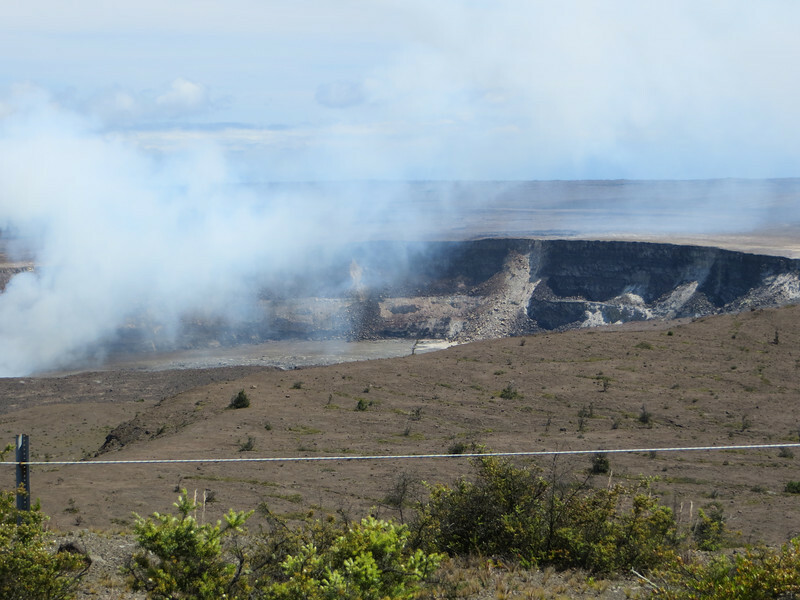 There is something called Halemaumau Crater inside the caldera. My guidebook says it used to be a boiling lake of lava in the 19th century, but is crusted over and quiet now. Tradition says it is the home of Pele, the volcano goddess.